Making your own Pie Filling is of course full of benefits, using fresh fruit, adding what you like in the mix and of course it won’t have preservatives or additives. You can also make it as sweet or ‘sharp’ as you like and with my recipe, you can store it in an air tight container in the fridge for a few days or freeze in ‘pie size’ portions for another day. I often make up this recipe and pour the fruit over some cake (you know sometimes if you have left some cake go dry? ) or I like it simply with Ice cream! But of course, you can use it to make pies! This is a basic recipe which you can use for all fruits, and I will also give you a recipe for caramel fruit pie filling, delicious with pears, apples, bananas etc. Simple enough, and you add cinnamon, nutmeg , cloves etc if you wish too. 1/4 tspn each of cinnamon, nutmeg. ground cloves, pumpkin spice etc. You choose what you like most. Add any spices you like. You can also add a Tablespoon of honey too! 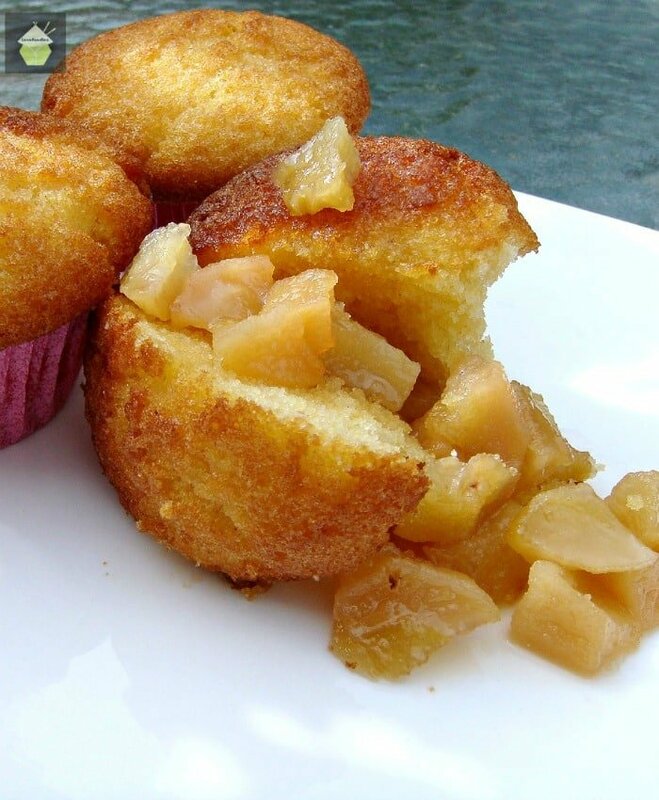 The Caramel filling goes well with apples, pears, pineapples & bananas. Note, the Instructions are the same for the Basic and the caramel filling. 1. 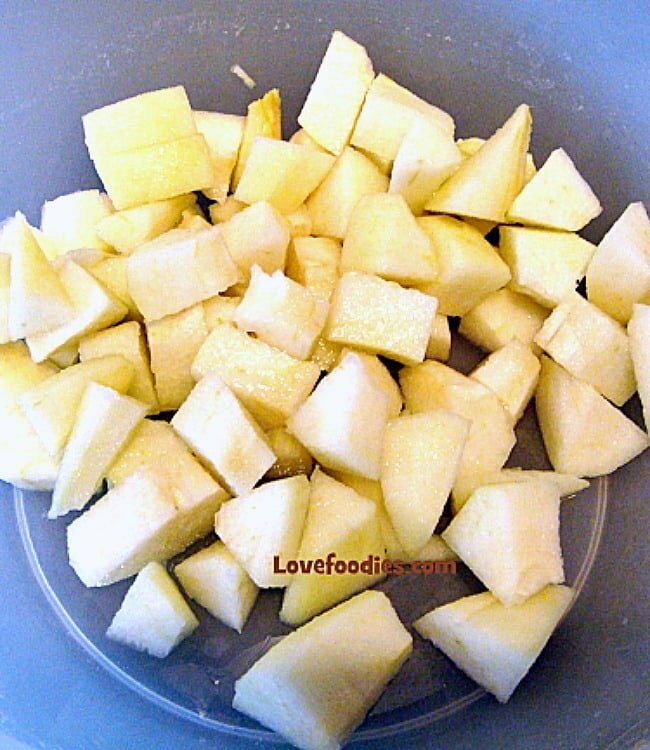 Peel, slice and chop the fruit into small cubes. Then add a squeeze of lemon juice and toss in a bowl. The lemon juice will stop the fruit going brown. 2. Add all the ingredients to the pan, EXCEPT the spices and vanilla if using. 3. Bring to the boil and when it starts bubbling, remove from the heat, add your spices & vanilla and allow to cool. Once cooled, you can freeze, refrigerate or add to the pie. 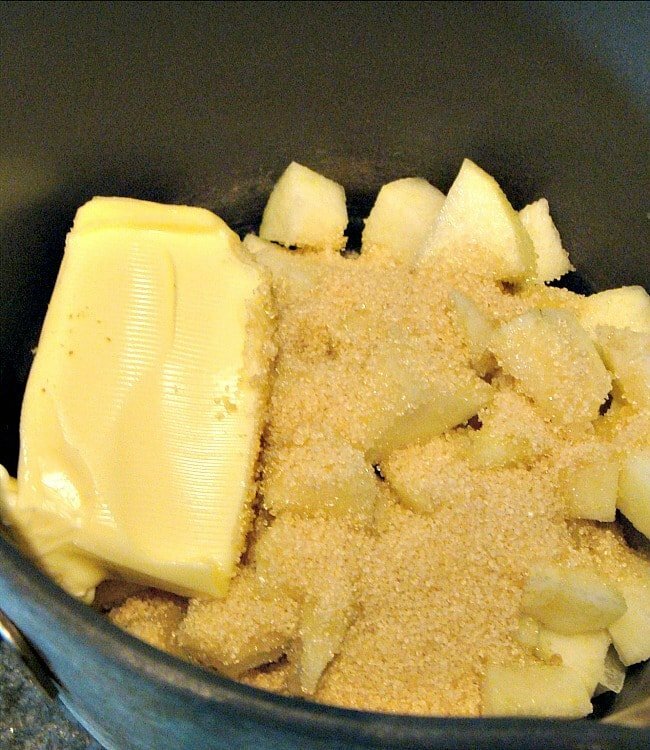 *** If you prefer a ‘softer’ bite to the fruit, for example if you are using as it is without any further cooking in a pie, then leave it to simmer in a pan a little longer until the fruit is soft to your liking. 1/4 cloves tspn each of cinnamon nutmeg. ground , pumpkin spice etc. You choose what you like most. Peel, slice and chop the fruit into small cubes. Then add a squeeze of lemon juice and toss in a bowl. The lemon juice will stop the fruit going brown. Add all the ingredients to the pan, EXCEPT the spices and vanilla if using. Bring to the boil and when it starts bubbling, remove from the heat, add your spices & vanilla and allow to cool. Once cooled, you can freeze, refrigerate or add to the pie. 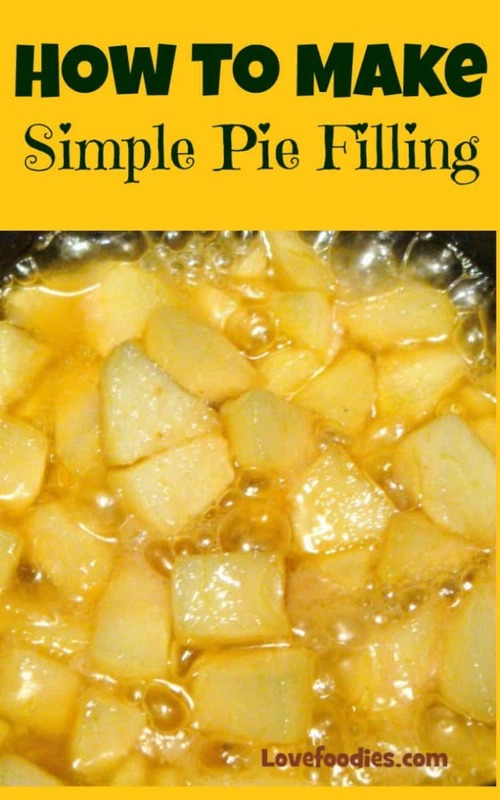 *** If you prefer a 'softer' bite to the fruit, for example if you are using as it is without any further cooking in a pie, then leave it to simmer in a pan a little longer until the fruit is soft to your liking. I have just made your Simple Apple Pie Filling. Absolutely brilliant . Thank you. Thank you so much. I have searched for a simple explanation of how to make this type of pie for years. My aunt used to make a peach apricot pie and would never share the recipe. Now I can attempt to recreate it. Hi Rose, I’m glad this recipe has helped you! When you are going to try it, you can always add any spices you wish, if you are trying to match close to your aunt’s recipe. Eventually with a bit of tasting and trying, I am sure you will be able to recreate a very close fit as I’m sure your aunt would have done something quite similar to this recipe. It’s an easy traditional way of how my Grandmother used to make a simple filling and she would add different spices depending on what kind of pie she was making! Enjoy and happy baking! 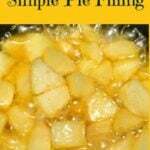 I tried this recipe when I had to make multiple apple pies along with numerous cakes. So thought this would be a great idea to have it made in advance. I multiplied by 4 to make 3 fuller pies and maybe that’s why I got the results that I did? My filling was very thin after cooling and I could tell it wasn’t going to hold up in my pies. I tried one and I was right, the pie ran like water. I ended up reheating and adding another 1/2 cup of corn starch to the batch for the 3 pies. Like I said, though it could be that multiplying is not the best thing for this particular recipe? Oh dear! I’m sorry to hear that Angela, with the filling. 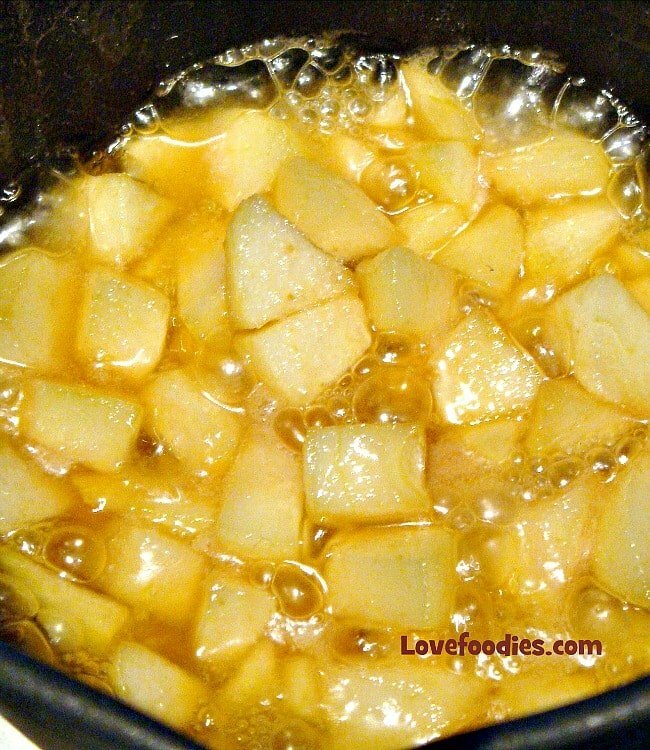 I think often the consistency will be affected by what fruit, even down to what type of apples you use, particularly if the water content is higher is some than others, and when the fruit cooks down, often they create their own juices, so it may be that you don’t need to add any or as much water as the recipe states. You did the right thing by thickening it to your liking, however, to avoid any future problems, the easiest thing to do is add your fruit and a drop of water to start with, and under the heat, if the fruit starts to break down and create its own extra liquid, then you dont need to add the water as stated in the recipe, and to thicken it to teh desired consistency, rather than add more cornstarch, I would like to suggest you cook the fruit filling longer so it reduces on it’s own (about 20 minutes or so on a low -medium heat). That way, you avoid adding cornstarch, and also the fruit flavour will be more concentrated. The ‘watery’ consistency will also happen if you use frozen fruit due to the water already present, so you know for next time, go steady on the water and add a little at a time, if it’s too watery or thin, cook the water out by gently simmering. I hope this helps, it is a good recipe, but like with many things, each fruit is different and will require a little judgement from yourself too!